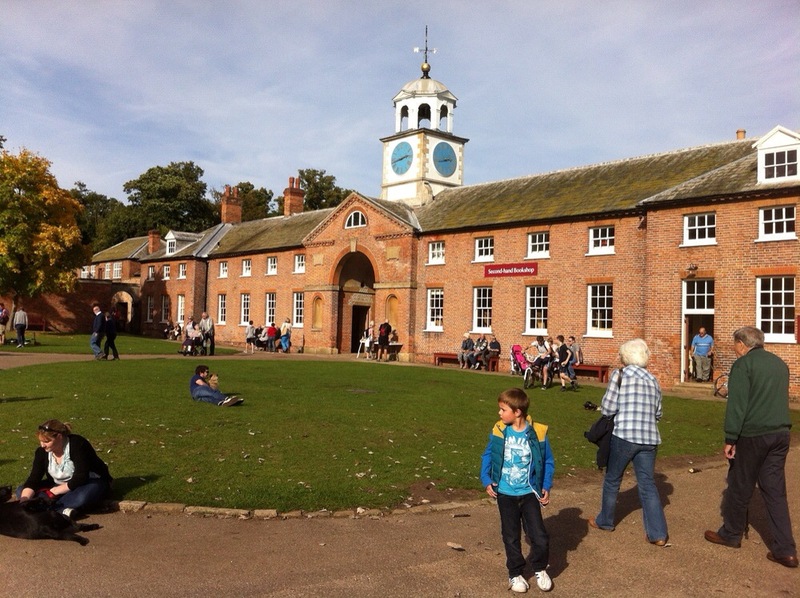 Clumber Park, Nottinghamshire – REVIEW! What more could you want on a beautiful autumnal day than to walk round a lovely country park? 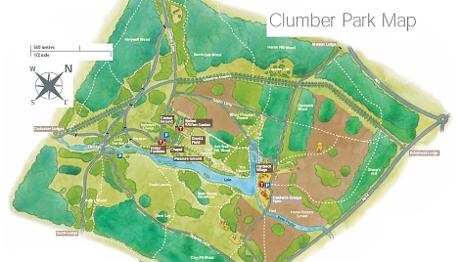 Our visit to Clumber Park in Nottinghamshire delivered this brilliantly. 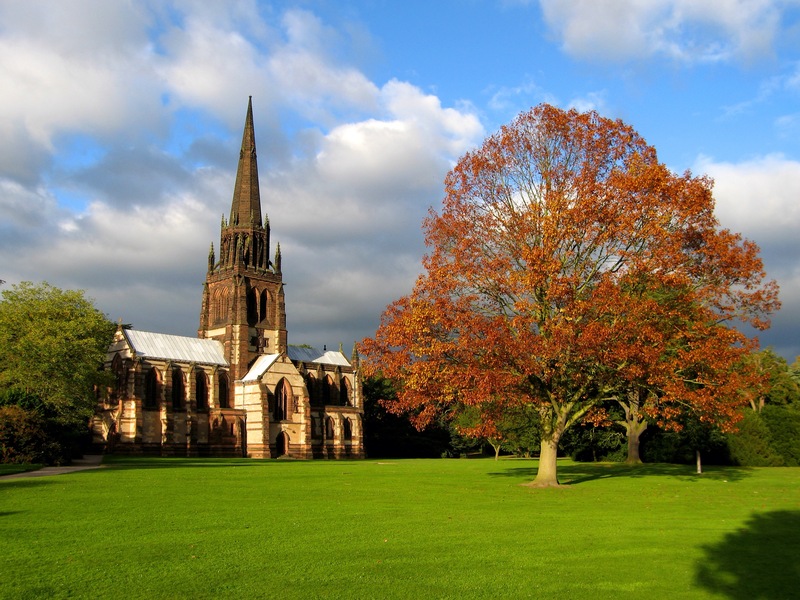 Situated near Worksop, the national trust property at Clumber Park has something to offer everyone. From the well stocked shop to the woodland play area and the various walks around the grounds. There is also a campsite, BBQ area and walled garden. You can also hire bicycles to explore the estate, or bring your own bikes. We stuck to the main area with it’s visitor facilities. The restaurant serves delicious food all day, I’d recommend their luxury hot chocolate! The service is quick (it was busy when we were there) and friendly. There are plenty of tables, both indoors and outdoors, there is even an indoor seating area for dogs and their owners. The large grass area outside provides an ideal picnic spot should you wish to bring your own food. Ever the parent, we were keen to locate the toilet facilities as Nathan has just finished potty training. They are clean and there is a seperate baby changing room, always a bonus. They’re situated just by the play area too so very convenient for small children. Another helpful idea was the seperate Ice cream shop opposite the restaurant so that you didn’t have to queue for just ice creams or a drink. 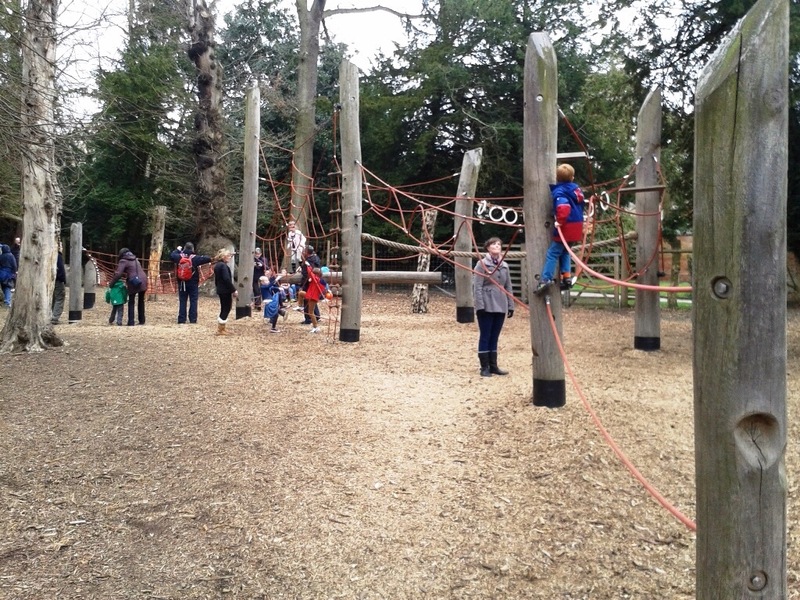 The Woodland play area is a great feature for us. A lively 2 year old wore himself (and us) out exploring the rope frames, playhouses and climbing trees. It is in a lovely shadey area which would be excellent in the summer but was a bit nippy at this time of year. Nothing a jumper couldn’t fix though. The deep leaf litter created a great cushioned floor around the play equipment and offered us a chance to collect leaves for crafts at home. We took bread down to feed the geese and swans on the river, with the backdrop of the stunning church on the grounds. The paths are great for pushchairs and in the glorious sunshine it was a perfect autumnal activity. 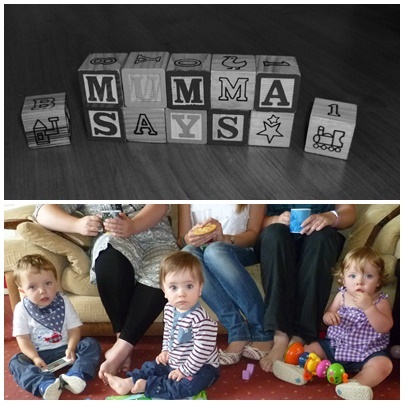 This entry was posted in Reviews, Seasonal, Toddlers and tagged Clumber Park, Family Days Out, Midlands, National Trust, Nottingham, review, toddler. Bookmark the permalink.